BlaBlaCar is one of leading company for sharing based booking UK. This application is very useful in a country like India. 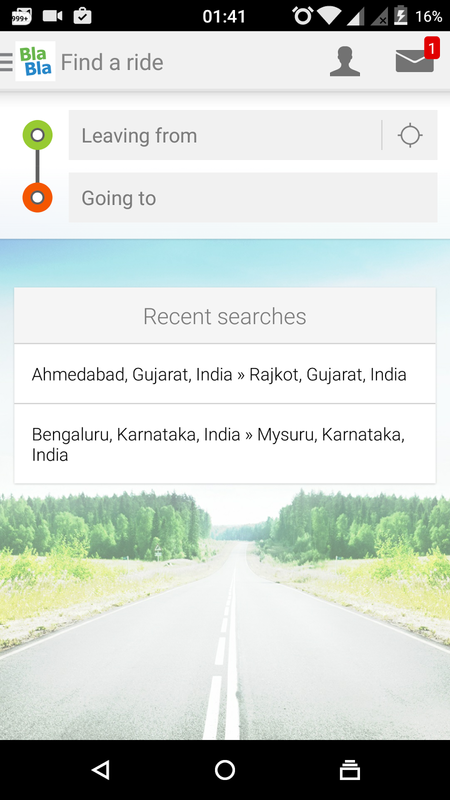 Download Blablacar android application from here. 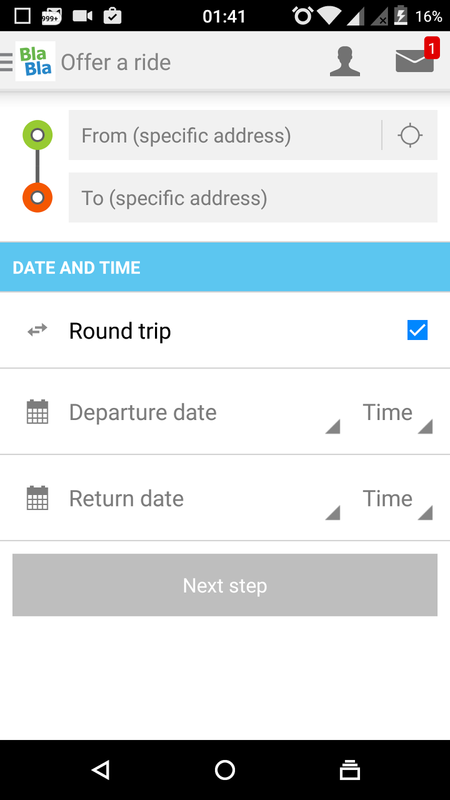 This is a mobile application which will allow you to book a sharing ride. You can share your ride as well. This can be very good way to earn some extra bugs while traveling from one location to another location. You can avail the shared ride at the cheap rate. Off course car is the better option than traveling in the bus. To book a shared ride you can just install this app named: blablacar. This is application is popular in the UK now. People are getting benefits of it. I would suggest starting using it in India as well. The use of an application is useful to both parties as both will be benefited. Use can book a sharing car is less price while provider can earn some extra bugs while traveling. I think this is a great idea. It will reduce the traffic issue as well. Application is easy to book and offer a ride. User friendly GUI & to the point information. Cover location all around the world. It support way point (In between Location) for the journey. Increasing demand in all over India. Demo is provided in below video. Well now we will look, how we can find a shared ride. You will find the list of people who offer a shared ride for you. Leave a message or call to book and confirm. You can see the details of a person who is offering the ride like name, age, photo and some other needed information. You can find the details like Modal name/ number of the car, numbers of total passenger in the car, type of car, AC/NonAC. Cigarettes is not allowed in the CAR. The timing information will be available while booking the sharing ride. You can see approximated time to reach the destination. Specify the from address and To address. Provide Time and Date of the journey you are going to offer. Enter type of Car and total number of passenger can be accomodate in car. AC / Non AC type of car. Mention in between stop for journey. Provide the driver Name, Age and other information. Provide personal phone number information so they can contact you before journey for pickup location.